Have you often wondered why brain teasers are fun? 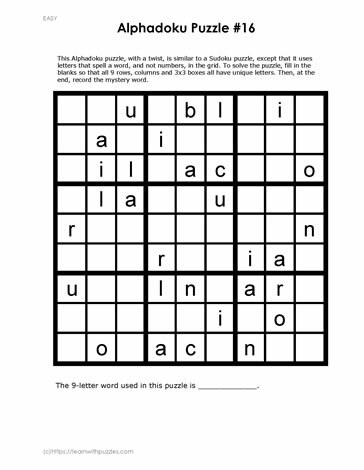 Challenge yourself with this logic puzzle by discovering the unique nine-letter word used to create this Alphadoku puzzle 9 by 9 grid. Remember to use the basic Sudoku rules to solve the puzzle.